Steven loves to draw and make colourful creations! 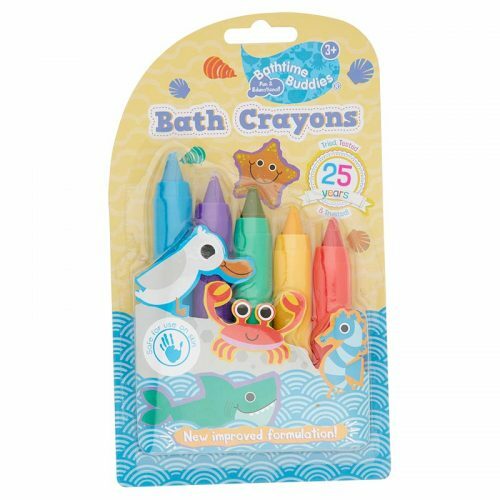 Create Bathtime works of art with the Bathtime Buddies Bath Crayons! With this super safe formulation, you and your child can draw all over the bath or all over each other! With one wipe its gone and you can move onto your next masterpiece. Encourage your child to pick out different colours and draw shapes, a green circle or a red square! Or even with some help, write answers to simple sums? !